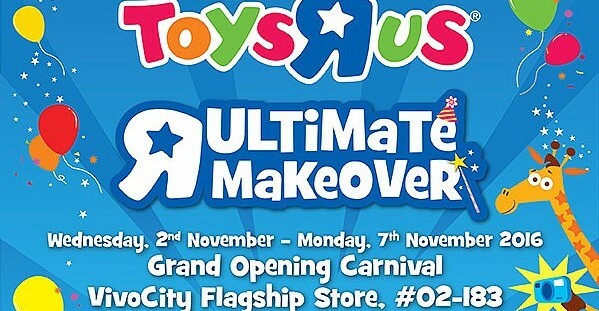 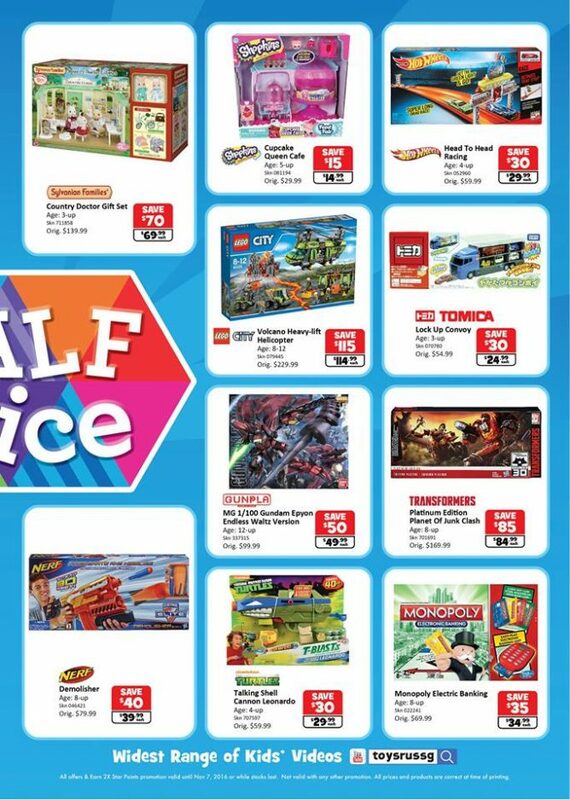 Toys"R'Us's VivoCity Flagship Store is undergoing an Ultimate Makeover! 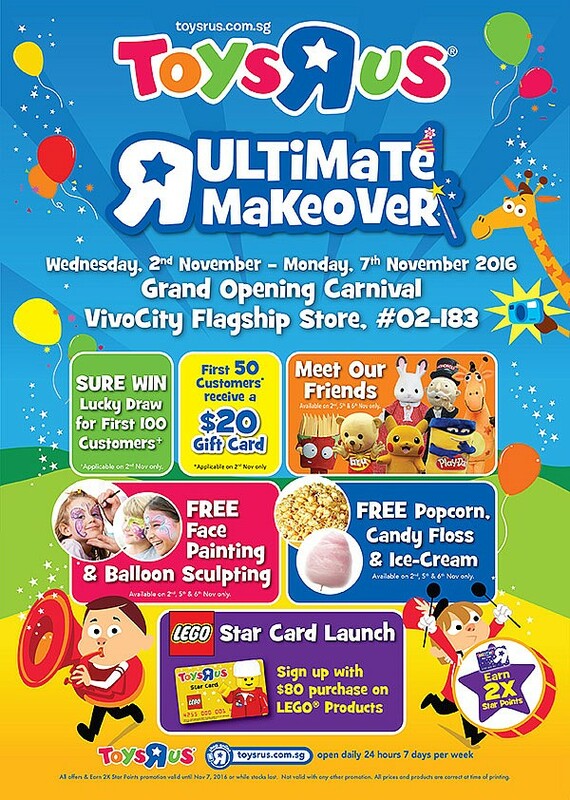 Join them on 2 Nov 9.45am as they unveil their brand new look, featuring awesome Half- Price Savings, activities such as Face Painting & Balloon Sculpting and Meet & Greet your favorite characters from Pikachu, Shopkins to Geoffrey the Giraffe and Sylvanian Families! 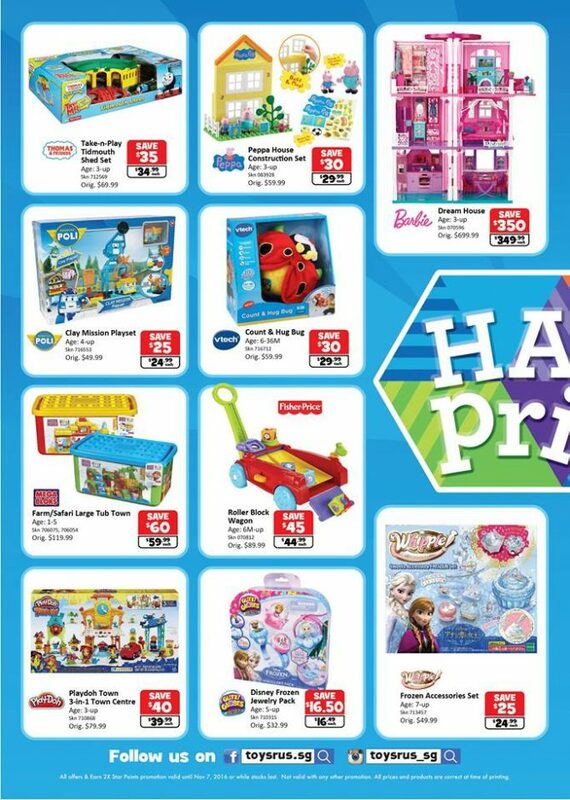 Grand opening promotions will be valid till 7 November 2016!